This is yet another book that hasn’t been on my TBR shelf for very long. The author visited several book festivals this season and after hearing many different librarian friends talk about this book, I wanted to check out what was going on. Twins Marvin and Tyler are good kids who are just trying to make it through high school. Marvin is known for being a total nerd and Tyler is exploring friendships with not great guys, but Marvin hopes to help get his brother back on the right track. He knows deep down that both he and his brother are trying to do their best. When the twins go to a party with Tyler’s new friends, the brothers get separated and Marvin never sees his twin again. After some sort of altercation, Tyler is ultimately shot and killed by the police. Marvin and his mother want to find answers behind what happened and they want justice for this young man who was unjustly murdered. 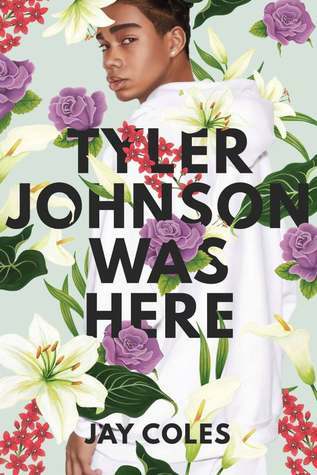 This novel was extremely reminiscent of the Hate U Give and readers who responded to that novel will also find a great home in this novel. It does explore many current/relevant issues found in contemporary society.